Lanlawren means Valley of the Foxes. 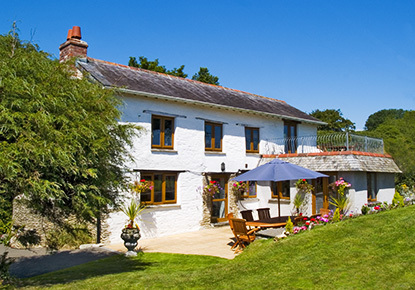 This stunning isolated house, set in beautiful gardens, is along the Coast between Polperro and Fowey and just a mile as the crow flies from the sea. For you to enjoy is a 4 ACRE FIELD with a beautiful stream in the valley this new purchase is adjacent and on the South side of Lanawren. Lanlawren is spacious with 4 bedrooms and 3 bathrooms. 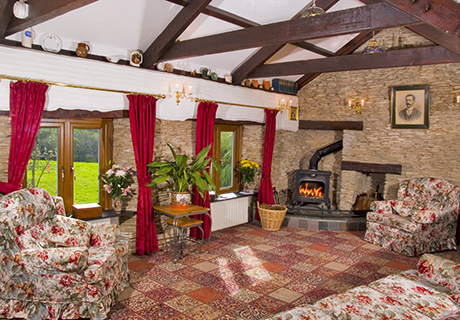 The dining-room has an inglenook fireplace with woodburner. Click left tabs for floor plan and photos. EASTER 25 March & 1 April MOVED COPY Sleeps from 2 - 8 people but out of season rental is for 2 people, with an additional charge for extra guests. Two woodburners and central heating. Hide away here, worship the sun, relax and read a book. For twenty years, we had hoped that one day, we would be able to buy this idyllic garden cottage PETS. Foxes Lodge is isolated with its own private garden. You can have complete privacy and not worry about your dog disturbing other guests. Lansallos, Lantivit and Lantic Beaches are dog friend and a lovely walk to the sea.